Our second (& NEWEST) Micro Lot from Peru, is from the young producer, Gilmer Meija. This is our second year in a row offering a coffee from Gilmer and we are really excited to continue this relationship. Gilmer spent the week with us while we were in Peru, accompanying us on long van rides, cupping coffee, and providing some valuable directions while we were trying to find the farms. While cupping through about 50 Micro Lots, Gilmers’ stood out immediately! He is very passionate about growing coffee and eager to learn as much as possible. 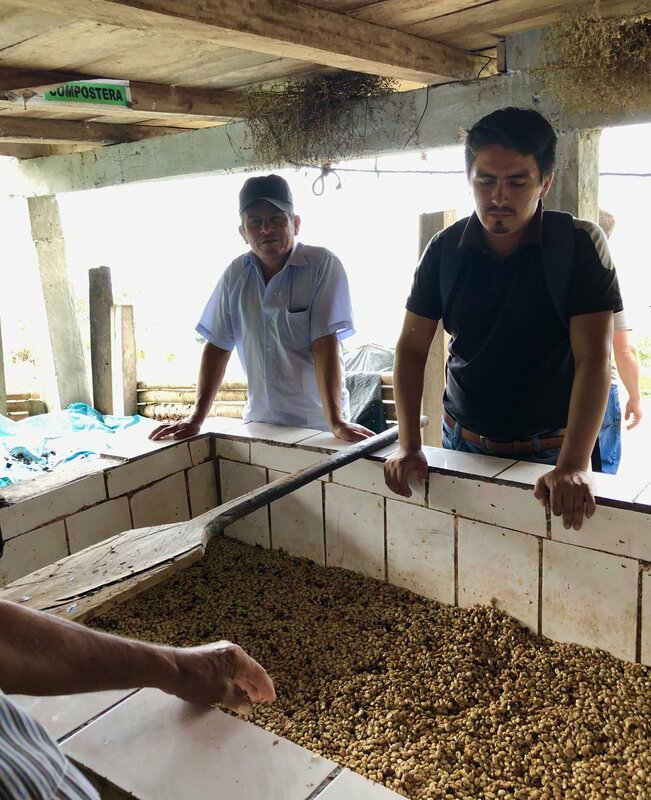 Gilmer runs the 7 hectare “Finca Ecologica”, a farm his father acquired for growing coffee in 1990. Gilmer and a small staff only pick ripe cherries, while wild shade trees provide much needed relief from the sun in the high altitude of the Andes Mountains. Gilmers’ coffee is completely organic, as he uses compost and guano to fertilize his farm. We hope to continue to support Gilmer by buying his coffee year after year.